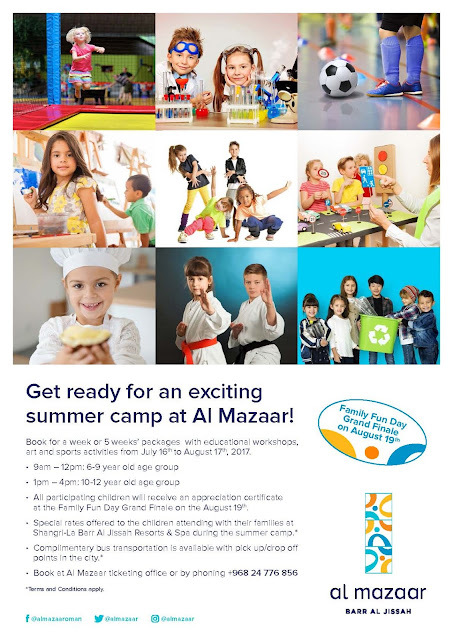 Al Mazaar, which is the facilities area located at the Shangri-la resort in Barr al Jissah, are running a summer camp for kids between July 16th and August 17th. So perhaps your kids might be not going away for the entire summer, or back early before the start of term, and you'd like some activities for them to do. this might be a good option, you can call them on 2477 6856 for more information. My kids would love this. Thanks! When we all introduced ourselves at event venue here. We were received warmly by all those who participated in the event. Events here are a lot of fun, giving access to features that aren't always the easiest to get into and aren't always the most wallet friendly.